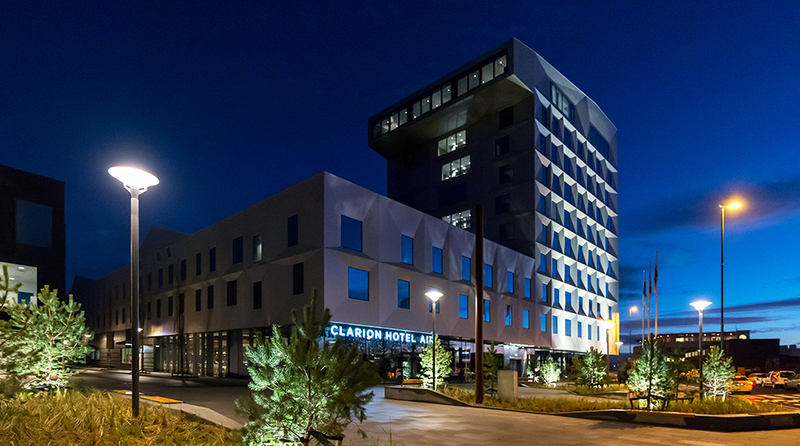 We hope to you soon at the Clarion Hotel Air! Below you'll find a list of frequently asked questions for those of you planning a stay at our hotel. Please don't hesitate to contact us in case you have any further queries. We have underground parking that is available to hotel guests for 180 NOK/24 hours or 18 NOK/hour. We also offer outdoor parking just next to the hotel for 150 NOK/24 hours or 15 NOK/hour. You can save money by purchasing a parking ticket in the reception, which allows you to park both indoors and outdoors for 120 NOK/24 hours. Please contact us for more information. We have a luggage room where you can store your luggage before and after your stay. All our hotel rooms and public areas have free wireless internet access. You can either get an access code from the reception or use your Nordic Choice Club membership number to log in to our wireless network. Simple as that! Can I use cash at the hotel? The Clarion Hotel Air is a cash-free hotel. This provides a safer working environment for our staff as it reduces the risk of theft and burglary. It also means that we have more time to spend on taking care of our guests. For guests it means faster and more secure payments. We accept all major debit and credit cards. Please contact us for more information.